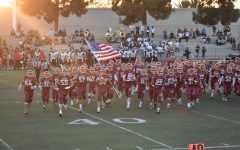 Thirty years ago, girlfriend Ruth Viramontes and boyfriend Rene Gutierrez graduated as track and cross country athletes from El Modena’s class of 1988. The high school sweethearts married and had their first son, Sam Gutierrez, a football and baseball graduate from El Mo’s class of 2016. Their daughter, junior, Annie Gutierrez, is currently the starting varsity catcher for El Mo’s softball team and her travel team So Cal Athletics 16U “Turner.” Gutierrez’s efforts in playing softball year-round rewarded her on April 9, 2018, when she verbally committed to Azusa Pacific University. Youngest of the Gutierrez family and future Vanguard, Matthew “Matt Matt” Gutierrez is a baseball player for South Sunrise’s Triple A Chapman Panthers and for Orange County Premier Baseball. Matthew Gutierrez aims to play outfield for baseball, cornerback/wide receiver for football and wrestle when he enters El Mo in 2022. Matthew became an instant celebrity on April 3, 2018, when him and his dad sat in the second row of right-center field at the Angels versus Indians game. In the bottom of the first inning, AL Rookie of April, Shohei Ohtani (P/DH), hit his first MLB home run off a 74 MPH breaking ball, to right-center field. “[The ball] tipped off a few hands and the Indians fans caught it, but they saw me and knew I had to have it,” Matthew Gutierrez said. 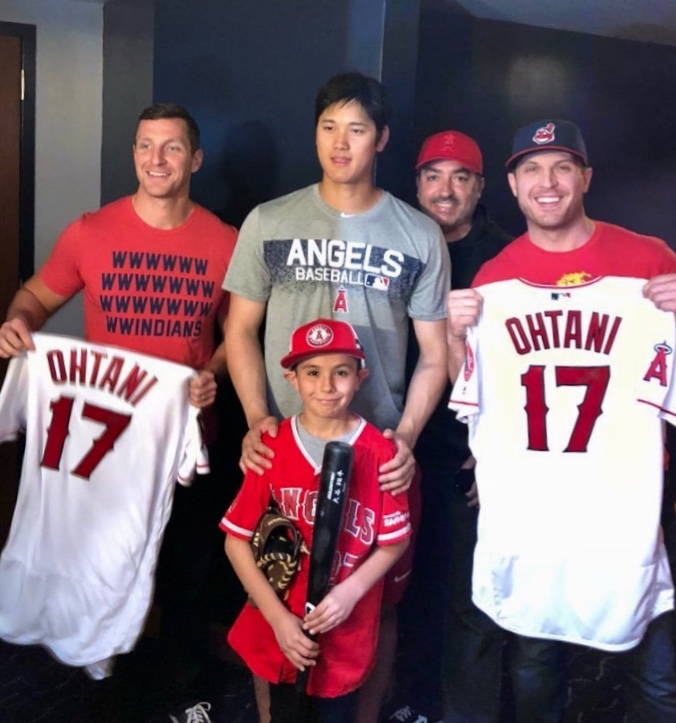 After watching the Angels win 13-2 and being interviewed by Angels press, Matthew and his dad, as well as the Indians fans, were invited to meet Ohtani in the Angels clubhouse. Hopefully, the next home run ball Matthew catches will be Annie’s first home run at Azusa Pacific.